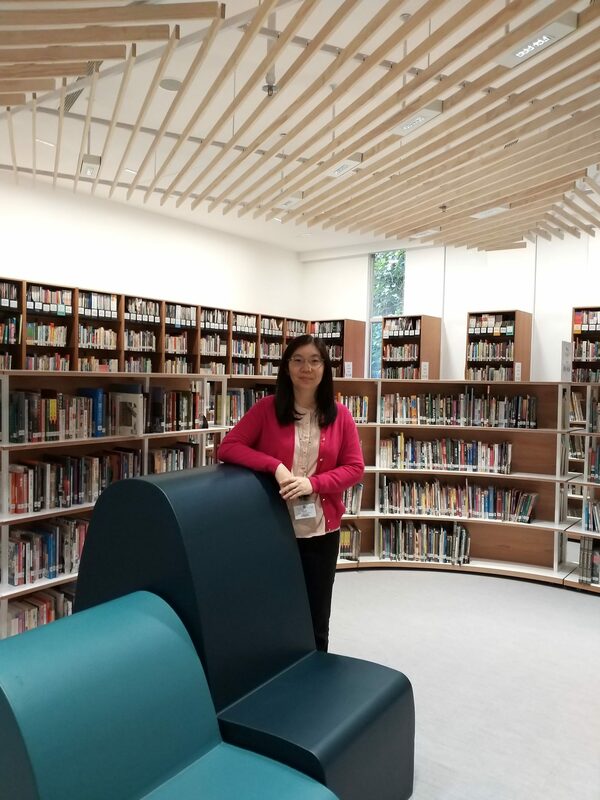 I was a secondary school English Language teacher in Hong Kong and Singapore for over 10 years before I became a teacher-librarian. I always enjoy working with teenagers since they are full of energy and innovative ideas. As a classroom teacher, I always collaborated with the teacher-librarian to instill in my students passion for being lifelong readers. I have switched my role from an English teacher to a teacher-librarian for 10 years after completing a Master course in teacher-librarianship. The best part of my job is interacting with different members of the school community including students, subject teachers and parents. I enjoy communicating and working with different people. Seeing my students grow their love of reading is definitely another best part of my job. It is great to see them checking out their favorite books which they enjoy reading and coming back to share them with me! The most memorable moment was the grand opening of my newly developed library in September this year. Due to the renovation work of my previous library, we had to move the library collections to different temporary places twice before moving back to the original library. The move involved a lot of planning time and energy. The joy of seeing the grand opening of the new library was surely worth all the time and energy my team and I put in. What is the most important trend we will see in the next 5 years in school libraries? Principals can see the importance of school libraries and teacher-librarians’ role in supporting teachers’ teaching and students’ learning. School libraries will become the hub of learning for a school community. Furthermore, subject teachers and teacher-librarians will work more closely together in equipping our students with 21st century skills. What is one thing you want other librarians to know about school libraries? Compared with special, academic and public libraries, the scale of school libraries are small and the funding may not be as huge as their counterparts. School libraries need to work more closely with libraries from other sectors so that they may get support from them in terms of resources, which in turn will benefit the students. Thank you to HKLA for granting me the fellowship. This fellowship surely recognized my services and contributions in the field. Having been a council member for 5 years, I found that I learned more from other council members and HKLA members than the effort and energy which I have put in. HKLA is definitely a good platform for librarians of all sectors to share and exchange ideas. Come to join and support all the HKLA activities! The reward and experiences you will get from these activities will exceed your expectations!